We sell #2 Fuel. Kerosene, 50/50 , Dyed ULSD and Clear ULSD. We also have 24 hour plumbing & heating service available. We want our customers have the security of knowing we will not leave them cold during the winter months. We now have 24 Hour On Road Diesel at our Pump Station on Rte 100 in Troy. 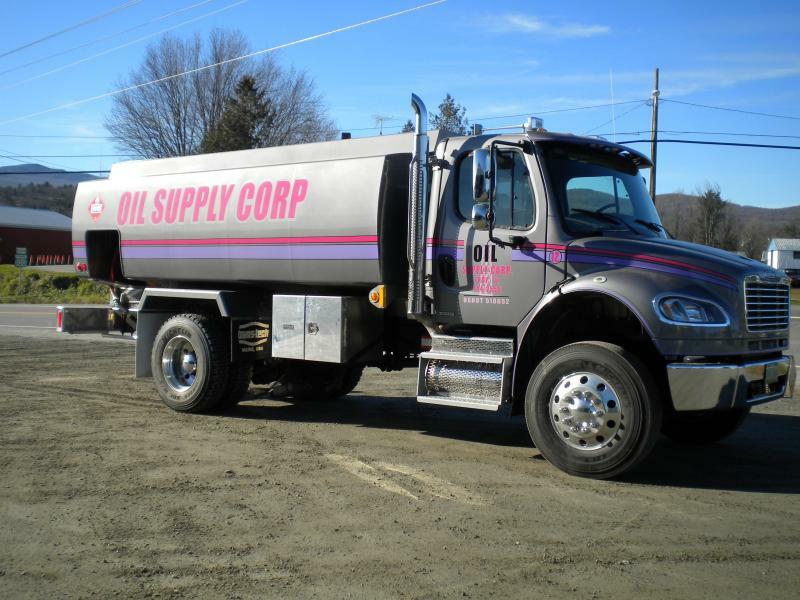 Are you a local trucker that would like to have a Oil Supply Corp fuel card? Come see Ann at the office and she can set you up. We accept Wright Express and Voyager Fleet Cards along with Visa, Master Card and Discover. We service the following towns in Orleans County. Troy, Westfield, N. Troy, Lowell, Newport, Newport Center, Derby, Derby Line, Charleston, Morgan, Holland , Barton, Orleans, Glover, Evensville,Westmore, Sheffield and now Island Pond.